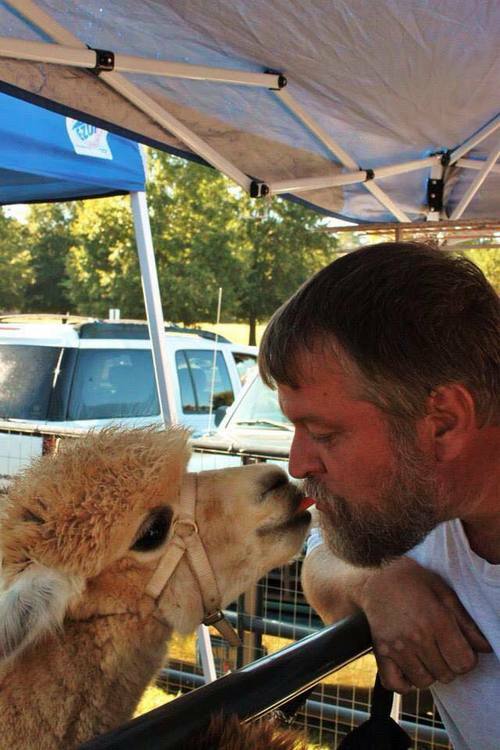 Yellow Rock Farm is an alpaca farm located in Macon, Georgia owned by Paul and Linda Cardwell. Jasmine likes her carrots from Paul! Yellow Rock Farm is a small farm in middle GA, just outside Macon. We are the home of Linda and Paul Cardwell - loving the farming life and all there is to discover. Our farm name is actually a square dance term that means "hug." Kind of a gentle reminder to embrace life and the ones you love. 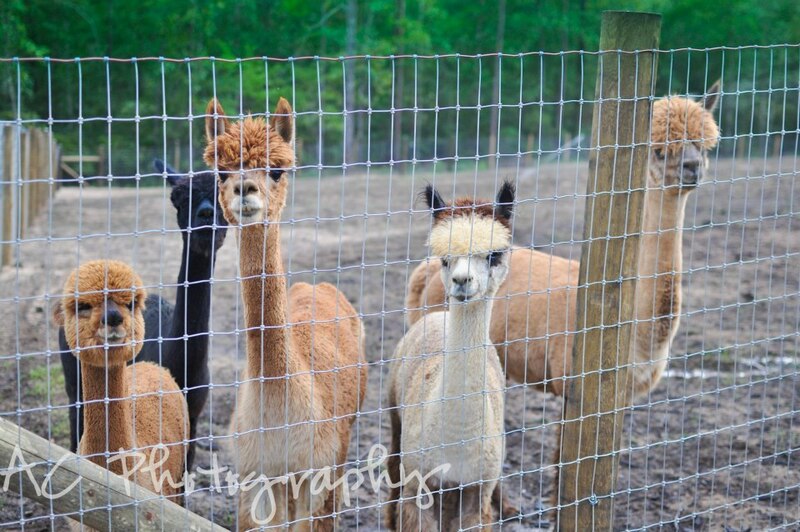 What began as an "I want those" after seeing the I Heart Alpacas commercials has resulted in a new lifestyle for us. We visited farms and went to an informational seminar in Feb 2012 determined not to buy anything. 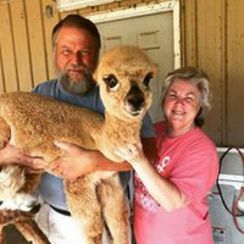 You know where this is going: we bought our first herd, then had to come home and work to have a place for them! 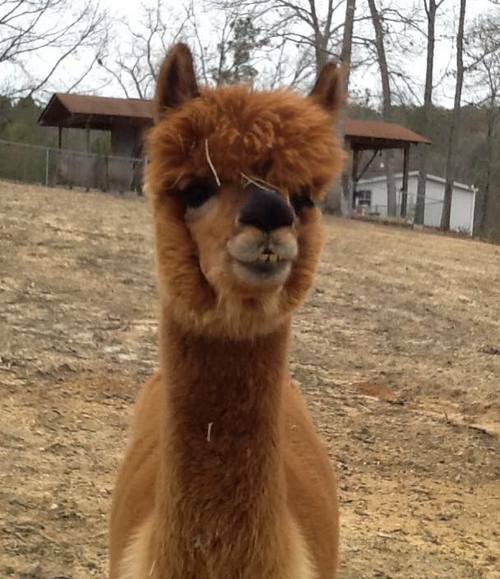 We now have 11 huacayas guarded by 2 llamas, and our herd is growing larger with each breeding season. We've been a part of a couple of rescues, and that's always special. We love farm visits, so drop by any time! Chickens and turkeys make their home here, too. Need fresh eggs? We also enjoy having and harvesting a large natural garden - just can't get enough of those good fruits and veggies! Boy, is that a LABOR of love, too!